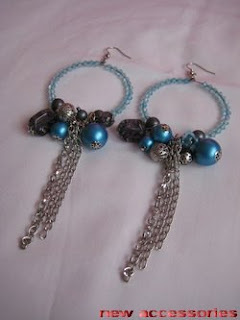 This beaded bangle earrings are made with 14mm, 10mm, 8mm, 6mm plastic beads, 8mm glass beads, 10mm metal beads, 3mm crystal beads, seed beads. 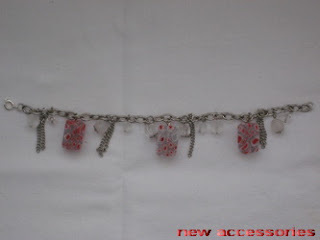 This beaded bracelet is made with 8mm plastic beads, 8mm, 6mm crystal beads, 8mm, 6mm glass beads, 14mm glass stones, 5mm jump rings. 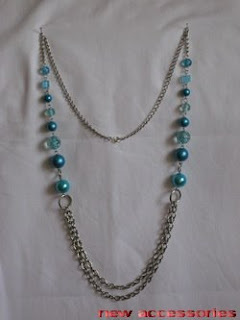 This blue beaded necklace is made with 14mm, 8mm glass beads, 14mm, 10mm, 8mm plastic beads, 14mm, 5mm jump rings. 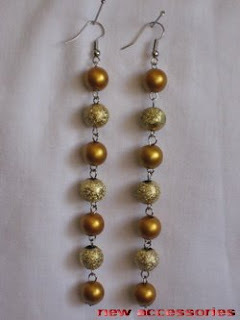 This gold beaded earrings are made with 10mm plastic beads. 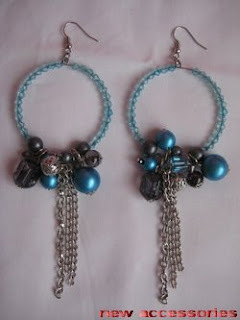 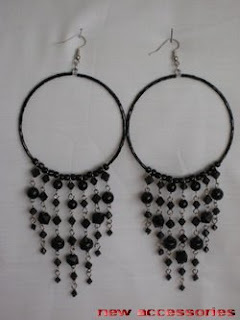 This black bangle beaded earrings are made with 8mm, 6mm, 4mm, 3mm crystal beads, 6mm glass beads, seed beads. 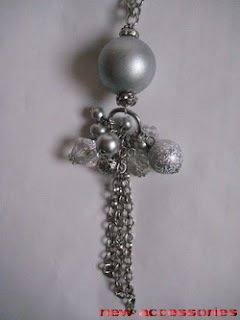 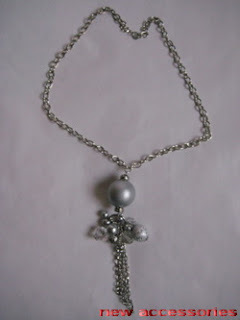 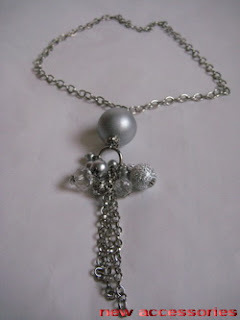 This silver beaded necklace is made with 24mm, 16mm, 110mm, 8mm, 6mm plastic beads, 10mm metal beads, 12mm, 6mm crystal beads, 14mm, 5mm jump rings. 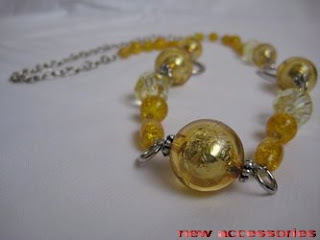 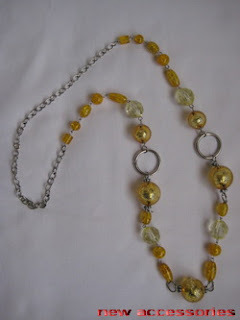 This yellow beaded necklace is made with 20mm, 16mm plastic beads, 16mm crystal beads, 14mm, 12mm, 10mm, 8mm glass beads, 20mm, 10mm, 5mm jump rings.